Last fall Infolinks announced our newly upgraded WordPress plugin. This week we’re excited to announce the release of upgrades to our Blogger, Joomla and Drupal plugins as well. 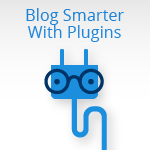 To tag along, we thought highlighting some other irresistible blogging plugins may help you blog better and blog smarter. Check out this list and optimize your blogs to drive more traffic, capture your readers’ attention and more. Pippity is a sort of pop-up that allows you to capture more subscribers for your email marketing ventures. I know, I know, pop-up is a dirty word, but you have so many configuration options with Pippity that you can be sure that these little pop-ups are used in the best way possible for your particular audience. Haven’t started an email marketing plan yet? Better get started! So now that you’ve collected actual email subscribers from your WordPress blog, its time to create email marketing campaigns. Never fear! MyMail is a simple plugin that provides solutions to create send and track your very own newsletters. This will keep your readers coming back for more. Sharing is caring! Every time a reader shares your awesome content with their social networks, the sky is the limit for how many new visitors you can attain. By implementing the Digg Digg bar, you make it super convenient for your readers to support your content and help make it viral. What is SEO again? Hopefully you’ve done your research and are implementing the best practices for your site by now. This SEO plugin is a very powerful “all in one” tool that does it all. See how your page appears in search results, review a detailed page analysis, perfect image titles, mega descriptions and more! Getting your SEO right will help you increase the organic traffic to your site and make more money. More pictures please. When your content is accompanied by fun and captivating images it makes it more digestible and is proven to capture your audience’s attention longer. This awesome plugin lets you create slide shows with as many layers and sub-layers as you want. Take your readers on a visual journey while maintaining full control with LayerSlider. Last but definitely not least. Publishers working with WordPress, Joomla, Drupal or Blogger can benefit immensely from easily integrating Infolinks ads onto their blog with just a couple simple steps. Read more about it here and plugin today to start making money for your blog.